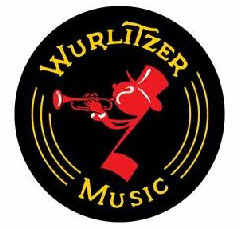 Wurlitzer made his debut in 1933 with the Wurlitzer Debutante, but became known when Paul Fuller as a designer started work in 1938. His unique combination of moving, colored lights, visible mechanism, "bubbling tubes' and countless stunning details made Wurlitzer the number one manufacturer in the late thirties and early forties, also known as the 'Golden Age'. Paul Fuller made among others the 1015, 1100 and Peacock. After World War II sales decreased and Wurlitzer lost market share to eg Seeburg. So they decided to follow the trend of automotive influences and chrome ornaments, known examples from this period are the 1800, 2000 and 2100.